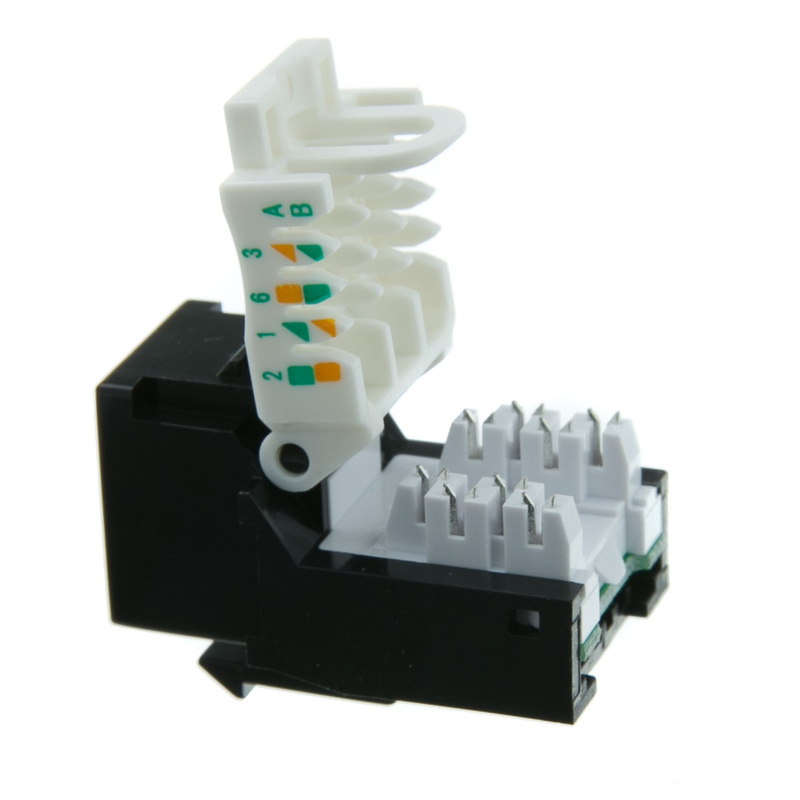 If you are in need of a reliable Cat6 keystone insert, the team at CableWholesale offers a large selection of high-quality products. 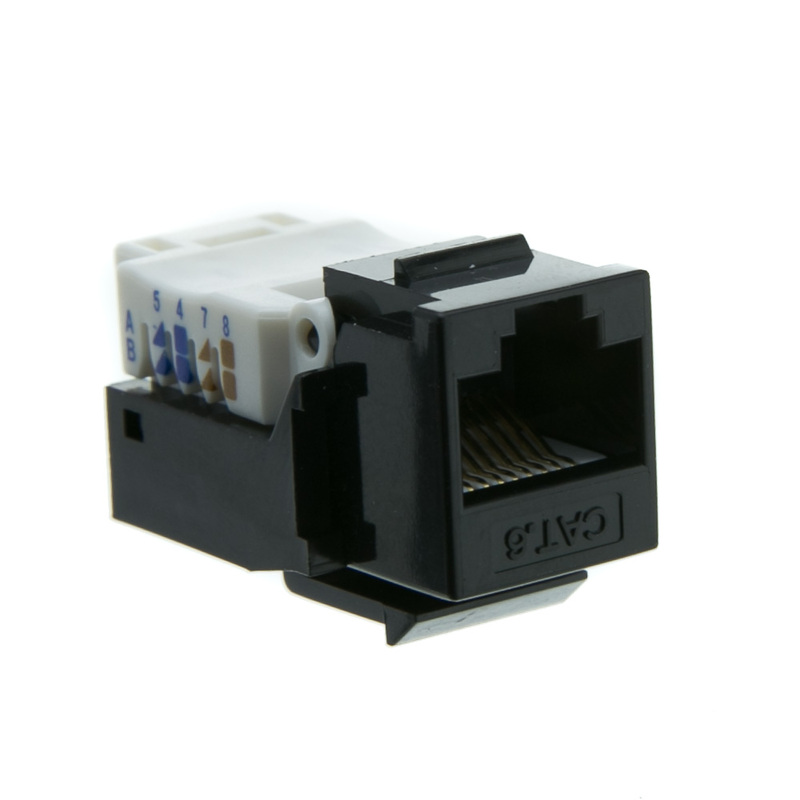 With our Black Cat6 RJ45 Keystone Jack, you will be able to easily terminate your network cable runs in any type of environment. One of the best features of these products is that they are completely toolless, simplifying your network setup process. 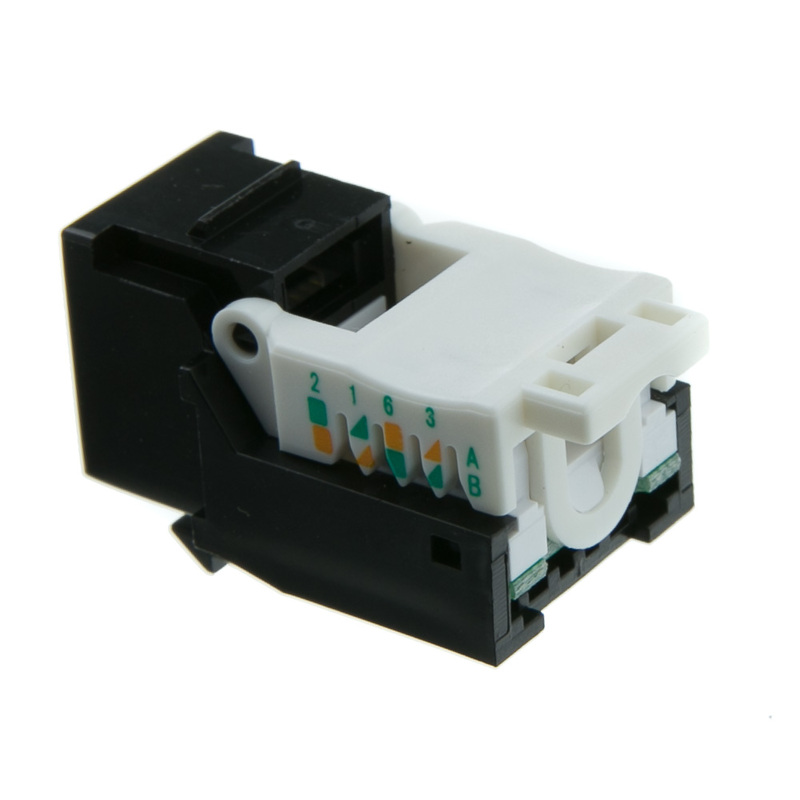 You will be happy to know that this BlackCat6 RJ45 Keystone Jack is compatible with many of our other products, including surface mount boxes, wall plates, and even patch panels. 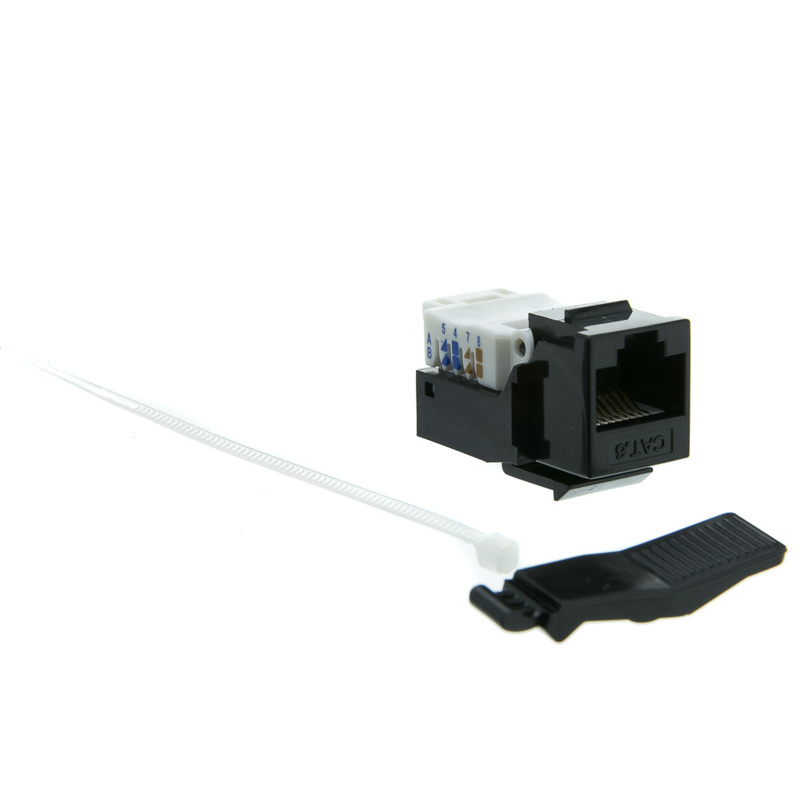 No matter what type of gigabit Ethernet application you need these keystone jacks for, you can expect superior results. All of our keystones work with gigabit speed products, and they are perfect for everything from phone lines to networking. 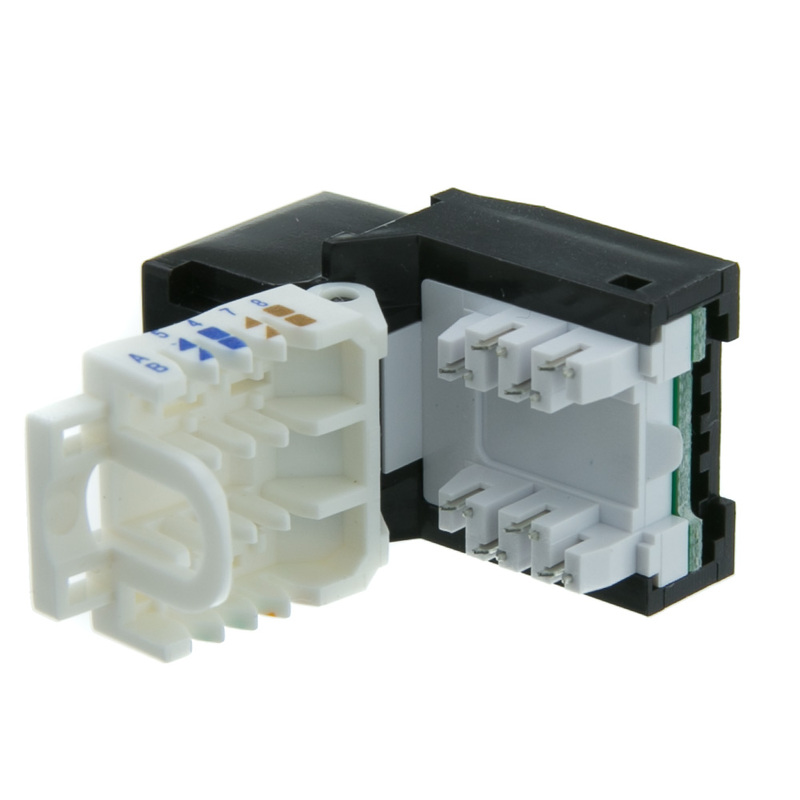 In order to achieve as clear a signal as possible, this keystone jack is outfitted with copper conductors, and it is an Unshielded Twisted Pair. Not only do they exceed the standard set by EIA/TIA-568-C, but they even come complete with gold connectors. When it comes to long lasting keystone jacks, you can always count on our Black Cat6 RJ45 Keystone Jack to get the job done. Great way to splice in a RJ45 connector without a punch tool.